Orange Sessions Lucie lamps are brilliant lamps that are covered in orange peels to provide a warm, natural glow in any space. Inspired by the sun and handcrafted in the central Europe, the meaning of a name lies behind symbolism of the color orange, which combines the energy of red and the happiness of yellow, and of course, the medium used to create them. According to the designer, “through the years of painting I have played with the idea of capturing the ethereal, elusive qualities of sunshine. Seven years ago, I started experimenting and making various art objects out of orange peels. I discovered how interesting, rich and durable that material really is.” No two pieces are the same and each one is handcrafted to last for decades. The lamps come in a variety of sizes and, if you order one now on Kickstarter, you can get your own unique piece at a stellar discount. 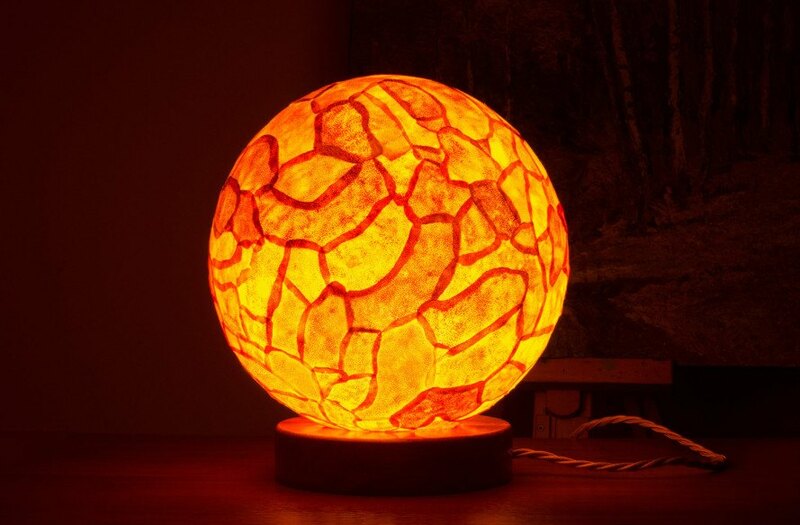 These are great where do i purchase one or two or three ..
Orange Sessions Lucie lamps are brilliant lamps that are covered in orange peels to provide a warm, natural glow in any space. Inspired by the sun and handcrafted in the central Europe, the meaning of a name lies behind symbolism of the color orange, which combines the energy of red and the happiness of yellow, and of course, the medium used to create them. According to the designer, "through the years of painting I have played with the idea of capturing the ethereal, elusive qualities of sunshine. Seven years ago, I started experimenting and making various art objects out of orange peels. I discovered how interesting, rich and durable that material really is." No two pieces are the same and each one is handcrafted to last for decades. The lamps come in a variety of sizes and, if you order one now on Kickstarter, you can get your own unique piece at a stellar discount.